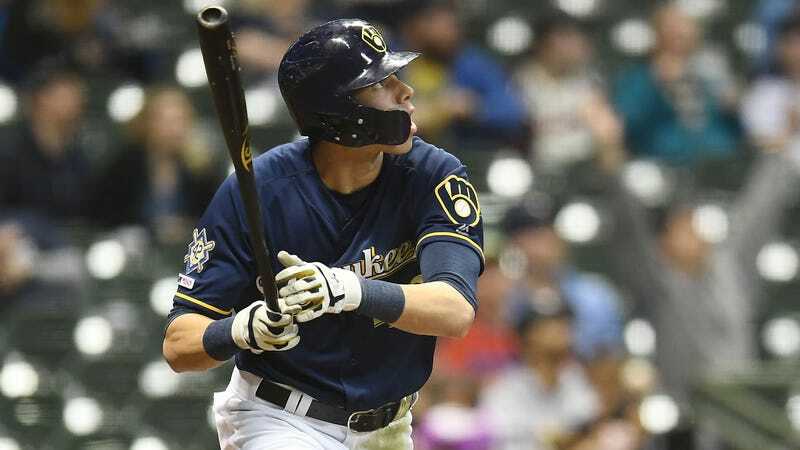 When Christian Yelich homered in the first four games of the season, all of which were against the St. Louis Cardinals, it was a fun curio—a hot streak carried over from the Brewers right fielder’s MVP season last year and a great player being great in an unusual way. Gabe Fernandez even wrote about it as such here, with Yelich averaging one dinger per game. The flukiness was part of the fun. Surely the 27-year-old couldn’t continue his home run dominance over St. Louis, not just because he had only hit one home run against other opposition since that first series but because that’s just not how it works. The Brewers are now 4-1 against their NL Central rivals, mainly due to their defending MVP, who also had a game-winning double back on March 31 against these same Cardinals. Against St. Louis, Yelich has nine hits—seven of them homers—to go along with seven walks and 14 RBIs. That’s an OPS of [checks notes] hmm, 2.696. Maybe the Cardinals should stop pitching to him.